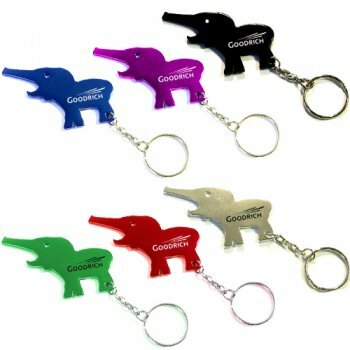 Personalized Elephant Shape Metal Bottle Openers with Key Holder are superb promotional items for any brand looking to grab massive number of impressions. With a total dimension of 2 1/2 " x 1 3/4 ", these custom bottle opener keychains can be used for promoting hotels, tour operators and even zoos. Presented in Metallic: Blue, Green, Purple, Black, Silver and Red colors, they also consists of 1 1/4 x ½ imprint space which will make all your promotional efforts worth. 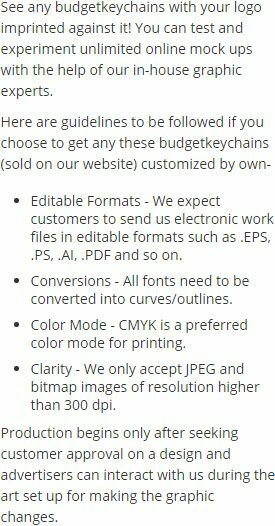 Order these promotional keychains today to get free online proofs and free artwork design. Request a quote to know what you can save on ordering Personalized Elephant Shape Metal Bottle Openers with Key Holder. Product Size: 2 1/2 " x 1 3/4 "